I have seen many swords over the years but none grabbed me like this one did. It had a cloth tie-down placed there by the Japanese soldier that surrendered it. And on that tattered cloth I was able to find out who that soldier is, Takaaki Yasuta (last name often translated to English as "Yasuda"), and some details about him. My research with the help of a Japanese library provides an interesting back story to this sword, He served in the IJA from 1938 to 1946 as a commissioned officer having fought in Northern China in 1939 and later trained young pilots on Formosa at the end of the war. 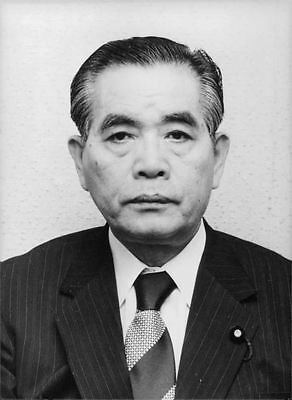 He later became a member of the Japanese Diet in the Liberal Party and served on a commission for the peaceful use of atomic energy. He was a strong advocate against war, but said little about the war he fought, and also wrote a book of Japanese poetry. I have attached a photo of him taken in 1983, also with notations on the back of that photo. 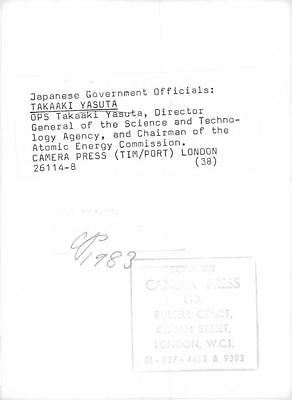 He must have been a rather important man in the post war history of Japan. He was born on September 17th 1916 and died on July 20th 2009 as a honored citizen of Ishikawa Prefecture. But the story about the original owner of this sword is not the reason for this post. I have attached photos of the sword as I received it and the cloth tie-down finally unravelled after over 70 years. This sword was in storage since WW2 never touched,till the day it was sold. But the blade is absolutely beautiful, no nicks, no rust and razor sharp with a very distinct wavy hammon. The Japanese soldier certainly took great care of it before he gave it up to a GI, that it would be rust free after 70+ years sitting in that GI's footlocker. Now the question on the sword. 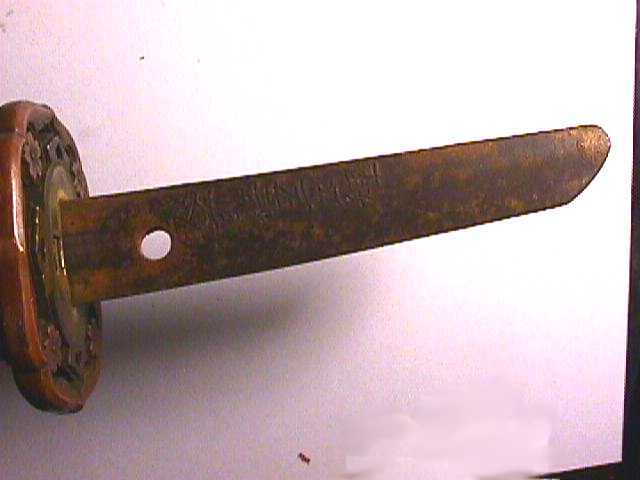 The cutting edge (Ha) from the tip to the copper-brass collar is exactly 24.01" in length (61cm). The nagasa, the length of the blade is 61.5 cm over 2 shaku. 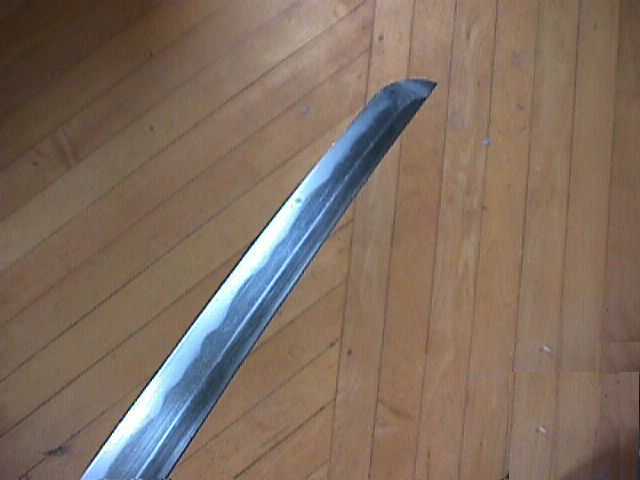 The curve of the blade is slightly more pronounced toward the tsuba and lesser toward the point. So the peak of the curve is not centered on the blade but toward the tsuba. Removing the Tsuka I discovered that it is apparently a very old sword, certainly not WW2 vintage. And with the short tang I thought that it might be Wakizashi. With the blade edge up the signature faces the one looking at it. 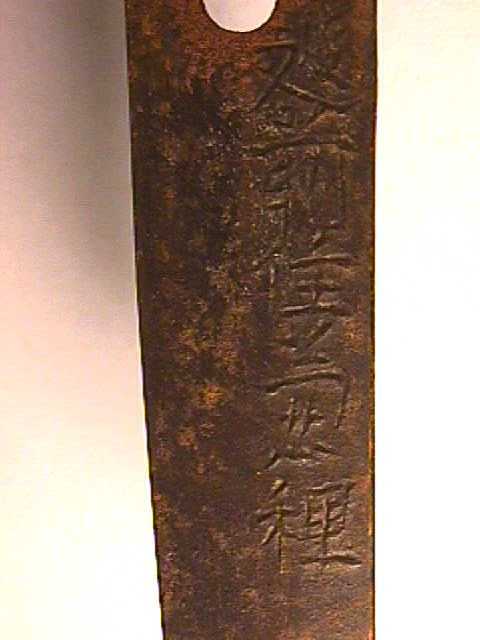 This inscription several have translated as "Echizen ju Kanetane." 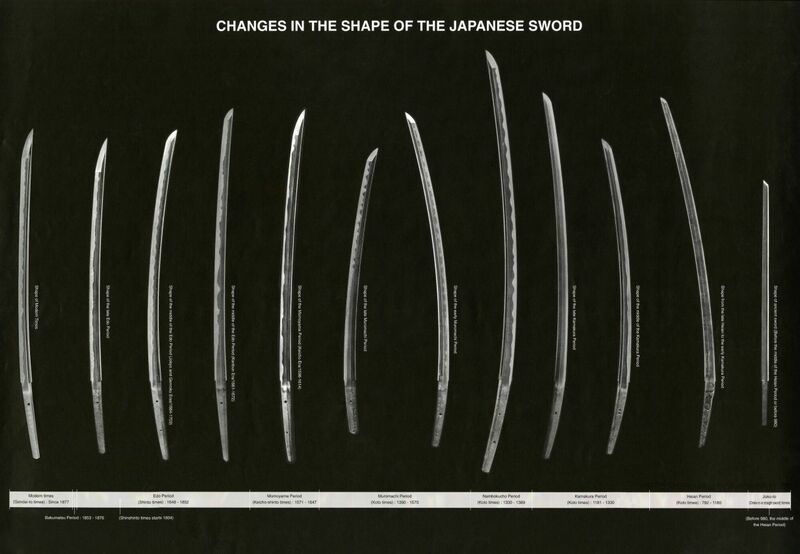 When I checked a graphic of the evolution of sword types ( have attached it) the sword looks very much like the one in the middle from the late Muromachi Era. Now here is the problem: If this sword was made by Kanetane, which one? 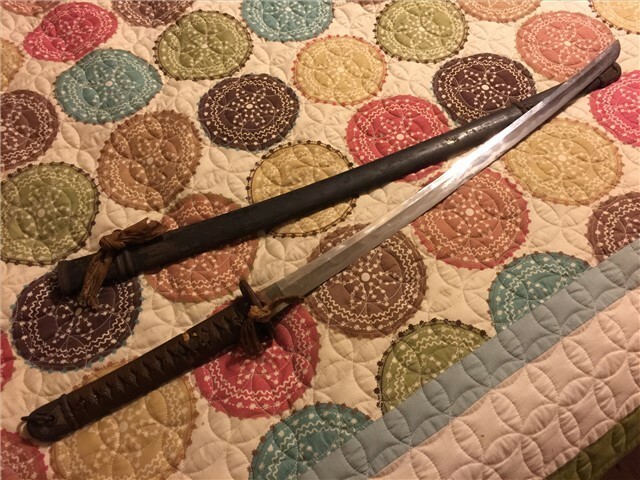 The sword looks like the type from the Muromachi Era, and according to what I have found here there were two Kanetane's in the Muromachi Era, with several others in the Edo Era, and the Edo signatures are not the same as the earlier Kanetane ones. I find these these two entries confusing as they have the same Kanetane signature, the same information, yet the date range between the two is about 40-60 years apart. 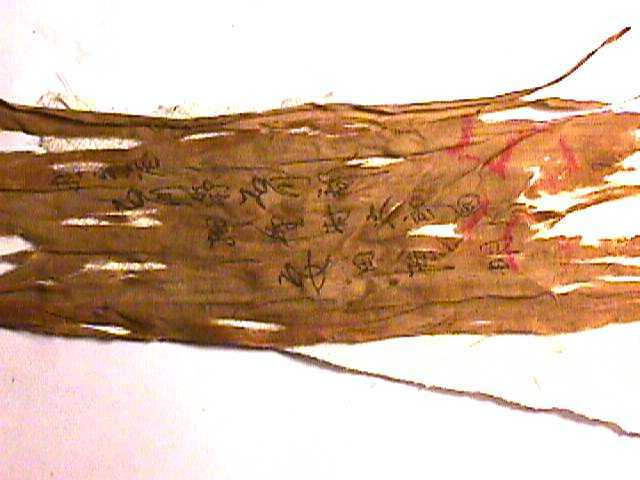 I have attached a photo of the inscription on the tang for further confirmation of its maker. Is it the earlier Kanetane in 1532-1555 or the later one in 1596-1615? As for the blade itself, I was told it is a Wakizashi, but others have told me that it might be a Uchigatana. However with a nagasa of 61.5 cm, well over 2 shaku this sword is in line with a katana and it could very well be a uchigatana as it also has a short tang (nakago). This is my first post and I know it is a lot to look over, but I really would appreciate some opinions on this really nice G.I. Bring Back stored for 70+ years... My first Japanese sword, and my introduction into the amazing world of antique Japanese swords. #1Submitted by Looper on Thu, 2017-05-18 21:53. Hi, I've had a look around but can't find any examples online of a Kanetane with a signature like this. The Tane character is very different from the examples I found. Your best bet is to try to track down photos of a papered sword with the same style of signature if you want to tie it to a smith. There are a great many gimei blades, and there's a good chance that this could be one. #2Submitted by SRSchoner on Sat, 2017-05-20 18:57. I did contact one elderly esteemed Japanese professor who lives in Japan that sells authentic Japanese swords regarding this signature with the upside down "tane" and in his opinion he deemed it "authentic." As far as I know, Kanetane was not one that was very much known or famous enough to be have his signature copied by others. But I will do as you say, look for other examples that may have this same style signature to better pin it down. #3Submitted by SRSchoner on Sat, 2018-03-17 23:05. After much research I am now convinced that this sword was made by Kanetane (KAN2460) in the years 1532-1555. Also the nagasa length of 61.5 cm (slightly over 2 shaku) makes this a katana (uchigatana) and not a wakizashi. The short tang (nakago) and shape of the overall blade also coincides with katana, uchigatana styles in the late Muromachi Period. Because of this, I have also changed the Title description. I think that this confirms that it is a Uchigatana as the measurements are correct and most likely it is a late Muromachi Era Koto blade, likely made by the earlier Kanetane (KAN2460). Comments for or against my observations are welcome. I am no expert at this and might be wrong, but I did extensive research to come up with these results. I can snap closeups of the details if needed.